Thanks to all of you who supported Newport Autumn Bloom this year! Be sure to visit our Facebook page for event photos and use #newportautumnbloom in all of your race photos! Check out the great race photos by Lois Robertson Photography and Tim Hatcher! Click here for complete race results! Record Turnout as Three Qualify for Bloomsday 2019! NEWPORT, WASHINGTON – Saturday morning 173 runners from all over the Northwest welcomed chilly but clear skies and competed in the 11th Annual Newport Autumn Bloom 5K/10K Run. Autumn Bloom’s 10K officially qualified three runners for the highly competitive Bloomsday 2019 Second Seed. The race welcomed back five prestigious running clubs, Manito Running Club, the Flying Irish Running Club, Bloomsday Road Runners Club, Spokane Swift, and Newport’s own Road Rebels running club. The Newport High School Girls Soccer Team, under the coaching of Dr. Jeremy Lewis, used the race as their practice Saturday. In addition, three youth runners (under 15 years old) placed within the top three in the Overall 5K categories. Qualifying for Bloomsday 2019 Second Seed requires male runners to finish the 10K under 39 minutes and female runners to finish under 47 minutes. Newport Autumn Bloom qualifiers were: John Collins (00:36’52), Steve Kirschke (00:37’36), and Mindy Woodruff (00:46’35). Male Overall 10K winners were John Collins (1st), Steve Kirschke (2nd) and Walter Mueller (3rd, 00:42’45). Female Overall 10K winners were Mindy Woodruff (1st), Shana Piper (2nd, 00:47’28), and Hannah Maple (3rd, 00:52’01. Male Overall 5K winners were Heath Robertson (1st, 00:18’10), Luke Hammond (2nd, 00:21’46), and John Michael Maple (3rd, 00:22’09). Female Overall 5K winners were Ara Clark (1st, 00:21’59), Amy Rose (2nd, 00:24’21), and Jenna McGerty (3rd, 00:24’37). 10 K race winners by age division were: 10K Female 14 Years & Under: 1st Place – Sarah Goodman. 10K Male 14 Years & Under: 1st Place — Jacksen Crosswhite; 2nd Place – Bradley Bennett, 3rd Place – Charles Bennett. 10K Female 15-29 Years: 1st Place – Mindy Woodruff; 2nd Place – Daranie Melton. 10K Male 15-29 Years: 1st Place – Michael Woodruff; 2nd Place – Stephen Storlie; 3rd Place – Richard Crosswhite. 10K Female 30-44 Years: 1st Place – Shana Piper; 2nd Place – Hannah Maple; 3rd Place – Cheryl Henjum. 10K Male 30-44 Years: 1st Place – John Collins; 2nd Place – Daniel Weathers. 10K Female 45-59 Years: 1st Place – Wen Yu; 2nd Place – Kristin Janson; 3rd Place – Sue Siemsen. 10K Male 45-59 Year: 1st Place – Steve Kirschke; 2nd Place – Walter Mueller; 3rd Place – Wayne Foster. 10K Female 60 Years & Older: 1st Place – Billie Johnstone; 2nd Place – Jane Remington; 3rd Place – Cathy Comfort. 10K Male 60 Years & Older: 1st Place – Rodney Riffel; 2nd Place – Paul Fitzpatrick; 3rd Place – Mark Hallett. 5 K race winners by age division were: 5K Male 14 Years & Under: 1st Place – Luke Hammond; 2nd Place – John Michael Maple; 3rd Place – Christian Maple. 5K Female 14 Years & Under: 1st Place – Ara Clark; 2nd Place – Elise Hinchliff; 3rd Place – Aislin Bogle. 5K Male 15-29 Years: 1st Place – Christopher Miller; 2nd Place – Benjamin Miller; 3rd Place – Kyle Holbrook. 5K Female 15-29 Years: 1st Place – Soleil Carter; 2nd Place – Cydni Lewis; 3rd Place – Madison Siegel. 5K Female 30-44 Years: 1st Place – Amy Rose; 2nd Place – Jenna McGerty, 3rd Place – Brin Westenskow. 5K Male 30-44 Years: 1st Place – Heath Robertson; 2nd Place – Sam Maple; 3rd Place – Doug Miller. 5K Female 45-59 Years: 1st Place – Margaret Porter; 2nd Place – Roxanne Huddleston; 3rd Place — Tina Batsch. 5K Male 45-59 Years: 1st Place – Jerald Butler; 2nd Place – Scott Axworthy; 3rd Place – Jeremy Lewis. 5K Female 60 Years & Older: 1st Place – Cathy Wallis; 2nd Place – Rhena Cooper; 3rd Place – Susan Fitzpatrick. 5K Male 60 Years & Older: 1st Place – George Wallis; 2nd Place – Terry Soderberg; 3rd Place – Allen Layman. 2018 Newport Autumn Bloom was dedicated to loyal community member and loyal race supporter, Danny Woelk, who passed away in 2018. The Autumn Bloom race committee created a special annual award for the person who, like Danny, truly embodies the Spirit of Autumn Bloom year after year. The Spirit of Autumn Bloom recognizes race loyalty, superior attitude, and competitive inspiration for all ages. Race sponsor and Mayor Pro Tempore Keith Campbell presented the 2018 award to 74-year-old James Schow of Plummer (ID) who received a special plaque and his name engraved on a perpetual plaque displayed at Newport Hospital and Health Services. With each year, the Foundation will recognize a new winner who, like Schow, embodies the Spirit of Autumn Bloom. 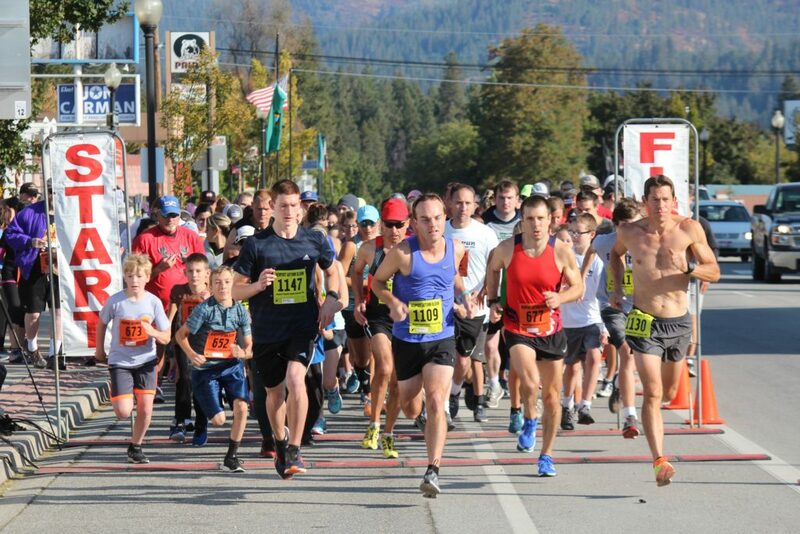 5 Officers from the City of Newport Police Department and Pend Oreille County Sheriff’s Office provided route security for the 170+ participants as they raced through downtown Newport. Runners were encouraged along the route by veteran bike marshals (Glennis Stott, Travis Stott, Keagan Stott, and Brandon Nokes) and more than 115 community volunteers including groups from House of the Lord School, Newport High School HOSA, Newport High School National Honor Society, and Newport High School Fire Science. Miranda Campbell opened race day singing the National Anthem, and race emcee/deejay Keith Campbell fired up the crowd and welcomed them across the finish line. 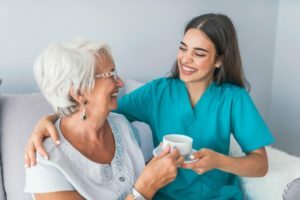 This year’s event benefited local programs funded and administered by Newport Hospital and Health Services Foundation, including Healthy Kids Snack Bags and Reach Out and Read. Race times were verified by Across the Line Timing/Nomadz Racing Services. 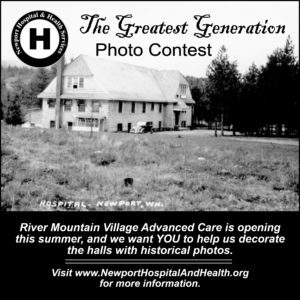 Links to final race times, as well as photos by Lois Robertson and Tim Hatcher, will be available at www.NewportHospitalAndHealth.org and on the hospital District’s Facebook page.